Theresa May has launched a scathing attack on Russia during a major foreign policy speech in the City of London. 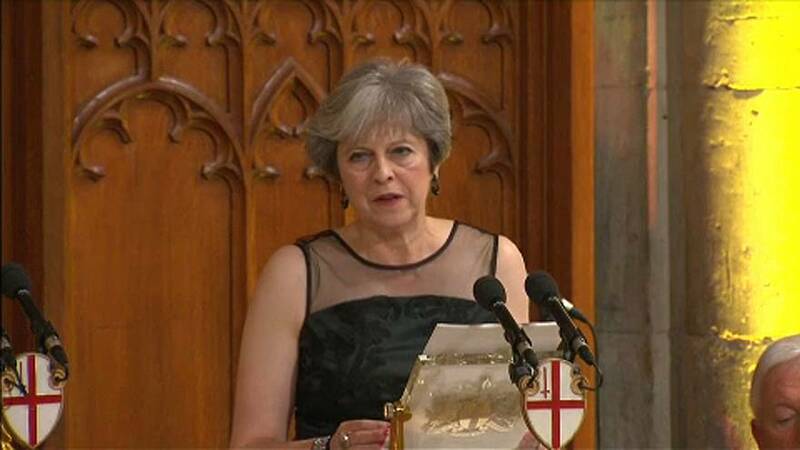 Speaking at the Lord Mayor’s Banquet on Monday evening the Prime Minister accused Moscow of military aggression and meddling in elections. In a direct message to the Kremlin, May said Russia was also ‘planting fake stories’ to ‘sow discord in the West’. “Russia’s illegal annexation of Crimea was the first time since the Second World War that one sovereign nation has forcibly taken territory from another in Europe. Since then, Russia has fomented conflict in the Donbas, repeatedly violated the national airspace of several European countries, and mounted a sustained campaign of cyber espionage and disruption.” she said. May’s warning about Russia comes ahead of a visit to Moscow by foreign secretary Boris Johnson next month. Her words are in sharp contrast to President Donald Trump, who recently said he believed President Putin’s denial of interfering in the 2016 US election.